Our honeymoon will be enhanced with a stay in the luxurious Backer Suite. This soothing sanctuary boasts opulent décor, original art, a 17th century painted ceiling by the Backer family, fine furnishings in the living room, 42-inch TV, a large work desk, a signature Waldorf Astoria king size bed with luscious linens, and a bathroom boasting a separate shower, a bathtub and a built-in bathroom TV, and lavish amenities. From the comfort of our suite, we will admire breathtaking views overlooking the canal. We will enjoy a stay in the Brentano Suite on our romantic honeymoon. This bright and spacious honeymoon haven boasts a private hallway, décor inspired by Josephus Augustine Brentano, an important resident of the house in the 18th century, fine furnishings in the living room, 42-inch TV, a dining room, a master bedroom with a walk-in closet and a signature Waldorf Astoria king size bed with luscious linens, and a bathroom boasting a separate shower, and a second guest bath. From the comfort of our suite, we will admire beautiful canal views. Together we will take delight in the King Grand Deluxe Room with a view on our romantic honeymoon. This elegant sanctuary boasts fine furnishings, 42-inch TV, a signature Waldorf Astoria king size bed with luscious linens, and a bathroom boasting a separate shower and bathtub, an integrated bathroom TV, and lavish amenities. From the comfort of our suite, we will admire impressive views over the canal or the courtyard garden. A tradition in the Waldorf Astoria history, Peacock Alley combines style, luxury and unparalleled service to deliver extraordinary experiences. We will be spoiled for choice with exquisite all-day tea and coffee service and savor an indulgent selection of tempting sweets. The smart menu Peacock Alley offers boasts a variety of simple, delicious dishes and wholesome comfort food, like sandwiches, soups or salads, perfect for a bountiful breakfast or a leisurely lunch. In the evening, we will sip premium wines in the opulent surroundings of this destination lounge, which features an impressive split-level layout that draws our focus to the lobby bar’s long, elegant windows and out towards stunning views of the garden. Librije’s Zusje Amsterdam is where the country meets the city and where gastronomy and hospitality combine. 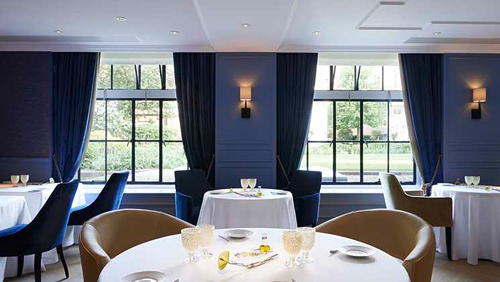 Located on the lower ground floor of Waldorf Astoria Amsterdam, with beautiful views of the courtyard garden, their warm and inviting restaurant serves delicious local specialties and international cuisine in a traditional yet contemporary setting. Sidney Schutte, the former chef of 3-Michelin star restaurant De Librije is the executive chef of this gastronomic restaurant. His inspired menu will take us on a vibrant culinary journey with dishes showcasing the finest regional produce from local farmers. We will sip cocktails in the refined, intimate atmosphere of the Vault Bar on our honeymoon at Waldorf Astoria Amsterdam. Combining sumptuous décor with contemporary style, Vault Bar exudes the classic ambiance of an elegant gentleman’s club. 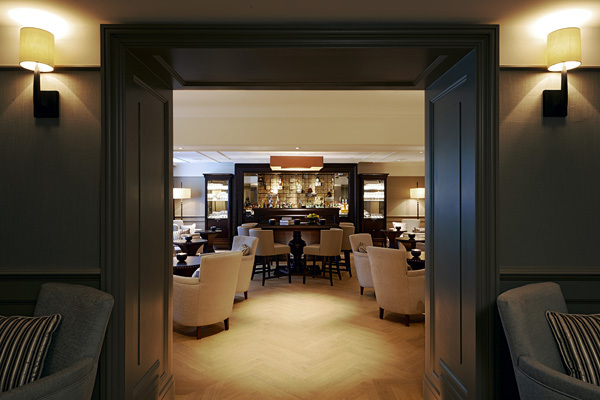 Named after the bank vault, still showcasing the original lockers, this bar serves a wide choice of the finest wine and spirit selections, including locally brewed liqueurs and Librije signature cocktails as well as authentic New York Waldorf Astoria classics. We will savor a selection of modern and traditional finger-food, creative bar snacks and Dutch specialties, prepared with an innovative twist. Located on the grand 17th century canal palaces of the Herengracht in Amsterdam, Netherlands, Waldorf Astoria Amsterdam promises us an unforgettable honeymoon destination. At this timeless, elegant hotel we will discover pure indulgence with their fine dining options, accompanied by refreshing drinks and classic cocktails at the bars. In the luxurious Guerlain Spa, we will choose from an array of soothing spa treatments. We will enjoy a bottle of wine or champagne from the comfort of our room with room service. With your wonderful wedding gift, we will create delightful honeymoon memories with this extra resort credit. 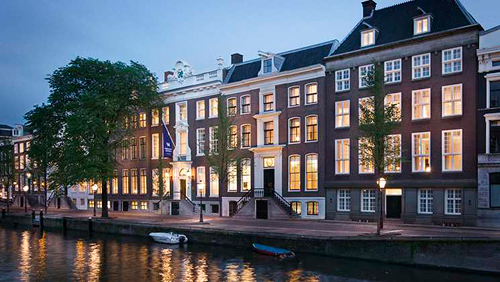 Waldorf Astoria Amsterdam is located on the grand 17th century canal palaces of the Herengracht in Amsterdam, Netherlands. Featuring a historical exterior comprising of six monumental 17th and 18th century double-front canal palaces and boasts a grand staircase attributed to the architect Daniel Marot, this exclusive hotel promises us a wealth of world-class amenities and personalized services. 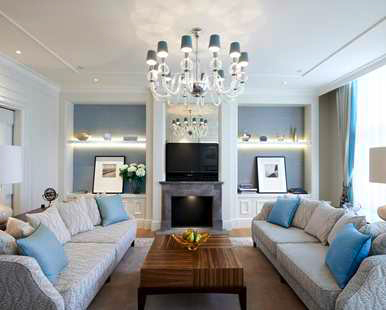 We will relax in pure comfort in the spacious rooms and suites overlooking the city’s canal or the courtyard garden. We will sip cocktails in the cozy Vault Bar and savor international specialties as we look out over the courtyard garden in the restaurant. 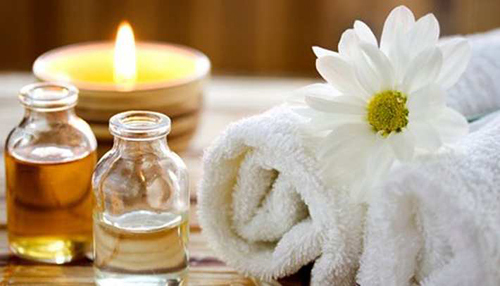 We can indulge in a treatment in the luxury spa, refresh in the indoor pool or energize in the fitness center. 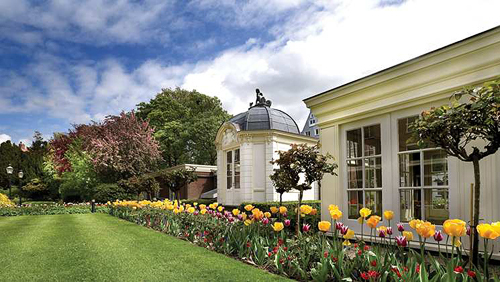 Waldorf Astoria Amsterdam will enhance our honeymoon with impressive amenities, timeless elegance and warm hospitality. A chilled bottle of champagne will be delivered to our room or suite. We will make a toast to our romantic honeymoon in Amsterdam while taking in the sweeping views of the canals from our balcony. A bottle of our favorite wine will be delivered to our room or suite. We will make a toast to our honeymoon while taking in the charming views of Amsterdam. The remarkable power of the longevity of the orchid has inspired this exceptional facial treatment. This lavish spa treat will offer me a moment of absolute well-being and visibly transform my skin by revealing its rediscovered youth. The exclusive Orchidee Imperiale firming massage, repeated three times by alternating deep massage sequences with softer relaxing ones, will act on the muscles of the face, neck, décolleté, and the upper part of the back. Under the action of precise movements, my muscles will be stimulated and my facial contours will be redefined. Nourished with three different masks, my skin will be immediately smoothed thanks to the synergetic effect of the cream. My skin will be left feeling supple and velvety with a natural glowing radiance. On my honeymoon, I will achieve a fresh, clear and radiant complexion in one hour with this deep cleansing coupled with the exclusive 5-minute Guerlain facial massage and mask. The ultimate in luxury and efficiency, Guerlain crafts each facial, adjusting the intensity of pressure according to the needs of my skin. The effectiveness of the renowned Guerlain Methode is in each of the series of touches, perfected for unrivaled results. Imagine discovering the revitalizing effect of sparkling citrus and fresh grass in this journey. Firm, rapid and strong movements will stimulate the energy flow so I will feel refreshed with a divine sensation of lightness. I will discover the mystery of the Orient as the smooth curls of smoky incense transports me. Enveloping, slow and generous movements will soothe me, as I feel peaceful and relaxed. This massage pays homage to the Eau de Cologne Imperiale. I will be transported to an anti-stress cocoon while this multi-sensorial experience inspires complete calm, leaving me totally relaxed and invigorated. The Imperial Relaxing Massage facilitates oxygenation, stimulates circulation and provides a profound sense of serenity. I will enjoy the signature Fusion Experience treatment created exclusively for Waldorf Astoria Amsterdam. This unique body massage blends warm oil and ice bubbles recreating the fusion between earth and water. This face and body treatment is perfect for my honeymoon. It will treat the signs of dehydrating (dry, dull skin with dehydration, wrinkles or fine lines) for deeply hydrated skin, more resistant to the signs of ageing. Thanks to Super Aqua-Serum innovative technology, my skin will be left fresh, radiant and re-plumped, while wrinkles are visibly filled in and my complexion is more radiant. This deep hydration body ritual uses nourishing Super Aqua Body Serum, followed by a full body relaxing massage. This anti-ageing treatment is delivered with flawless efficiency maximizing sensorial pleasure to leave me with a feeling of complete well-being. With deep gestures, which stimulate every muscle, the energizing massage will ensure cellular renewal process and procures an amazing feeling of firmness. My body will regain tone and definition and my skin complexion will glow with a refined texture. 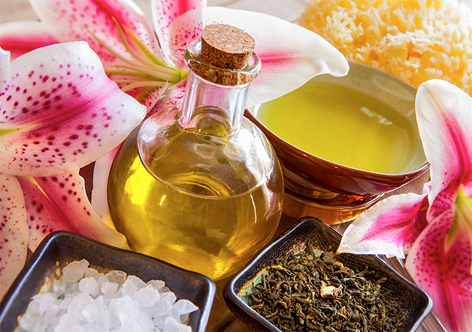 An invigorating and rejuvenating body polish will transport me to a total state of relaxation. Coupled with a hydrating treatment, this therapy will leave my skin healthy, refined and as soft as silk. This complete therapy will enhance the beauty of my nails and hands thanks to a gentle exfoliation, a repairing cuticle care, a hydrating massage, a paraffin wrap, and an application of nail color. This very complete treatment will enhance the beauty of my nails and feet with the elimination of calluses, a repairing cuticle care, a hydrating massage, a paraffin wrap, and an application of nail color.